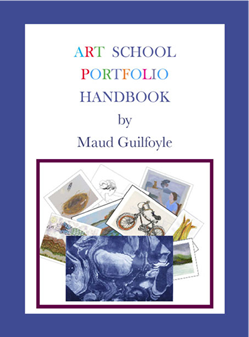 The Art School Portfolio Handbook is an informative guide that will help art students prepare an impressive portfolio while seeking admission to art school. A list of 24 art projects in still life, landscape, figurative and conceptual art is outlined with suggestions for presentation, interviews, studio practice, school visits and more. Also included are tips for dealing with artist’s block, health concerns for artists, purchasing art materials and using social media to supplement their portfolio. There is a list of classic art book titles to explore, followed by a guide to art websites filled with information for the art student and artist. Purchase your copy now and be confident in your ability to successfully meet every challenge of applying to art schools and colleges.